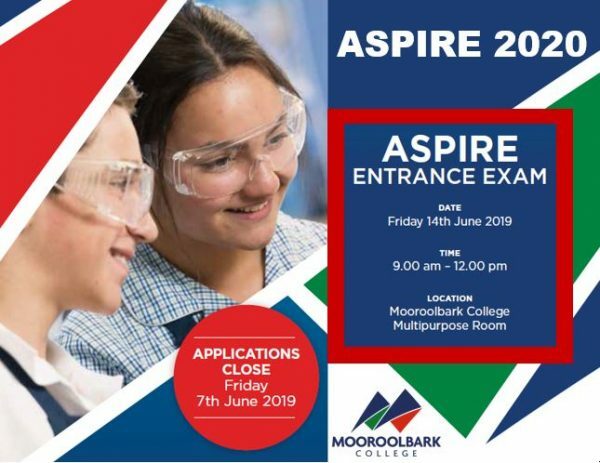 Welcome to the Mooroolbark College website and a chance to see what our vibrant, dynamic and supportive learning community is all about. We take pride in maintaining a clear focus on the ‘whole’ student, an approach that comes through in the way that we have created our excellent facilities and how our highly committed, talented and professional teachers go about their work. 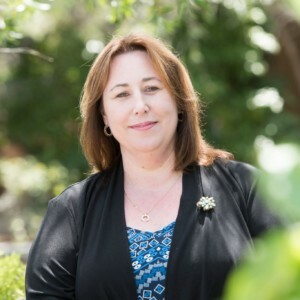 At Mooroolbark College, we strongly believe that ‘values are caught, not taught’. 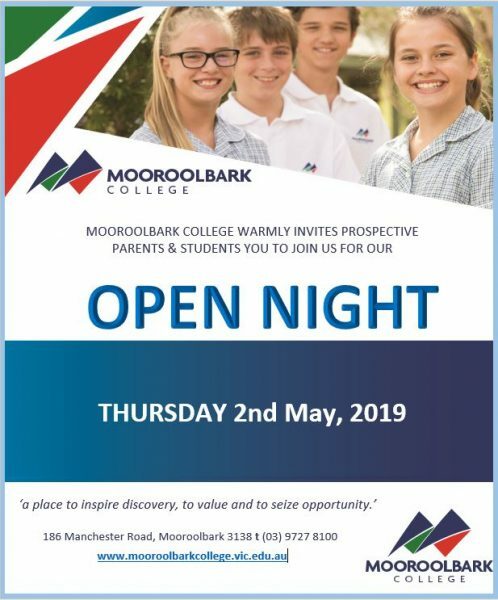 Mooroolbark College warmly invites prospective parents & students you to join us for our 2019 Open Night on Thursday 2nd May. 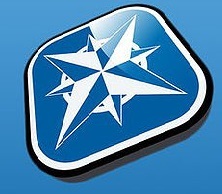 Our Compass Portal is designed to keep students, parents and staff up to date in all relevant areas. College tours can now be pre-booked from the College website. 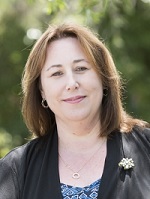 To support the BYOD initiative and minimise costs, Mooroolbark College will be changing text book suppliers to Oxford Digital eBooks. Students in Years 7 – 9 in 2019 can access the digital bundle for $160 per student through our textbook supplier Lilydale Books. The Bundle includes; Maths, Science, English, Humanities Textbook. The College has high expectations on student uniforms and enforces strict adherence to rules. The College uniform can be purchased direct from our supplier. 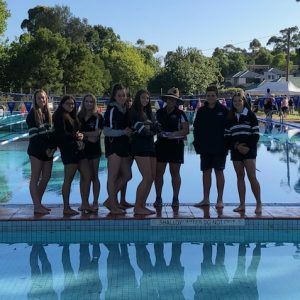 Mooroolbark College is committed to ensuring the safety and wellbeing of all students whilst participating in school activities both during and outside of school hours and has zero tolerance of child abuse. and evaluation. This unit provides you with skills and knowledge which will better equip you for future studies in foods. 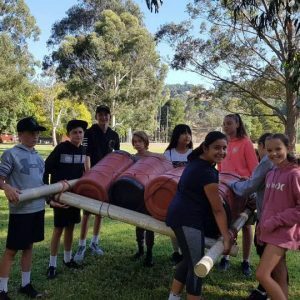 The Duke of Edinburgh Award is an internationally recognised award that engages students by providing an alternate learning environment, outside the regular classroom structure. The Award empowers students to take responsibility for themselves as they will encounter a wide range of challenges throughout the program. Students will complete the four sections during the year in order to obtain the Bronze level. Are you a creative person? Do you think engineering is a possible career choice? Look no further than robotics. as well as testing concepts and ideas using LEGO Mindstorms to program, as well as looking at the Arduino, a method of control. Are you counting down the days until the next Marvel or Star Wars film? Do you often greet your friends with “Did you watch (insert favourite TV show here) last night? Do you love playing video games? Are you addicted to Facebook and Social Media? If so, THIS subject is for you! Media is the study of our society’s media, in all its forms. Media includes film, television, newspapers, journalism, animation, gaming, music and radio. The course involves studying films and how they tell a story and engage their audiences. There is also a practical component of this course, where we will create film posters using Photoshop, 2 short filmS (no you don’t have to be in font of the camera if you won’t want to). If you are the type to ask “Why would we ever need to know this?” then this subject is not for you. 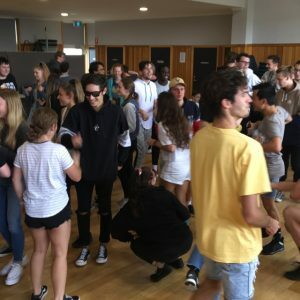 How long is a piece of string is designed for students who are good at maths and are interested in how numbers and arithmetic affect everything from the smallest microbe to the entire universe;from social occasions to wider populations. Year 7 Mandarin focuses on developing students’ capacity to understand basic sentences and questions, engage in simple conversations based on interpersonal topics and to write short texts of simple sentences. Students also learn about the culture and geography of China. Ceramics can offer you an opportunity to use your artistic skills to make an array of utilitarian and sculptural pieces that you can be proud of. Ceramics is the perfect progression for those students who have enjoyed the Arts but would like to try something new, as well as a wonderful alternative for those among you who find other mediums a challenge. Students will be required to design and build a set amount of pieces from a set curriculum, as well as being offered the opportunity to work on the pottery wheel. So come and get your hands dirty and design, sculpt and construct a myriad of aesthetically appealing and useful pieces that you can treasure forever. and intertextuality. Students will develop their own pieces of writing through a drafting process and workshopping stories with the class. Literature focuses on developing informed responses to texts, on the ideas and concerns raised in texts and on making meaning from non-print texts. Students respond to a range of texts personally, critically and creatively. While the emphasis is on students’ close engagement with language to explore texts, students also inform their understanding with knowledge of the conventions associated with different forms of text; for example poetry, prose, drama and/or non-print texts. 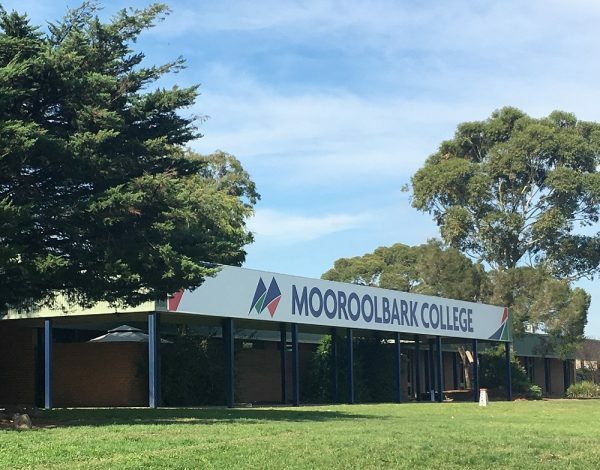 Receive updates and upcoming news, events and achievements happening at Mooroolbark College.